Yesterday Cross Solutions staff were trained to use our new Ground penetrating radar (GPR). Capable of determining the depth and location of buried services. 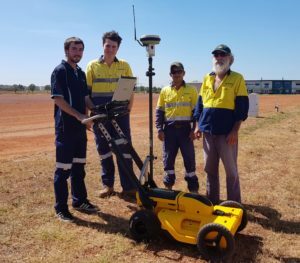 With an interface to our World class, RTK GPS equipment mapping of utilities has never been more efficient! Be sure to follow us for updates on some future projects, using this equipment!